Our Mission is to deliver the most valuable and effective car/truck care in the Automotive Industry through trust and high ethical standards. Our Vision of “Whitty’z Diesel & Humble Auto Repair is to be the premier provider of quality auto and truck repair and the most trusted shop in the Greater North Houston area. Our Personal view of how all auto repair work should be started, worked on and finished is that of high ethics. Whitty’z Auto’s owner and operator Randy Whitman personally held numerous titles in his 28+ year career as an instructor teaching auto-techs that above all else, high ethics is what separates good tech’s from great tech’s. After leasing out the facility where Whitty’z Auto is now, Randy wanted to go back in to Humble auto repair because of a lack of honesty and integrity. We are owner operated and customer service oriented. Our goal is to build your trust so we can fix your vehicle and give you a great experience time and time again. 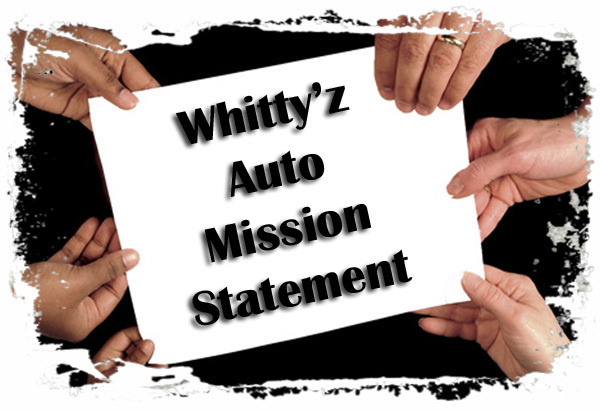 We believe in REAL customer service So, at Whitty’z Humble Auto Repair Shop if you call between 8-6 pm Monday- Saturday you will get a conversation and not an answering service. Give us a chance to earn your business and your trust. You deserve quality service and integrity in your Humble auto repair facility. We know that your vehicle is one of your most important possessions and we treat it like our own.